ITEM: AM-0032 PRICE: $12.00 DISCRIPTION: Single shot 2 inch tubes! 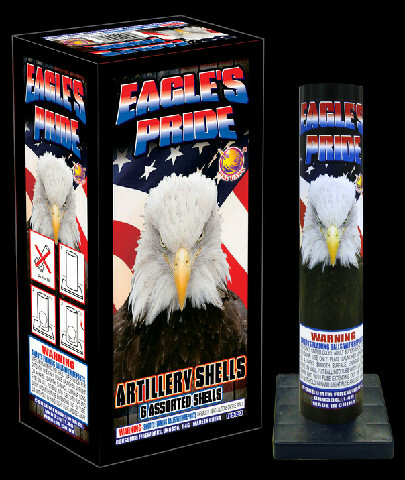 ITEM: AM-0031 PRICE: $47.95 DISCRIPTION: 1 Tube with 6 double break round shells and 6 double break canister shells. ITEM: AM-0030 PRICE: 47.95 DISCRIPTION: For those with richer tastes, Shogun presents Zillionaire. 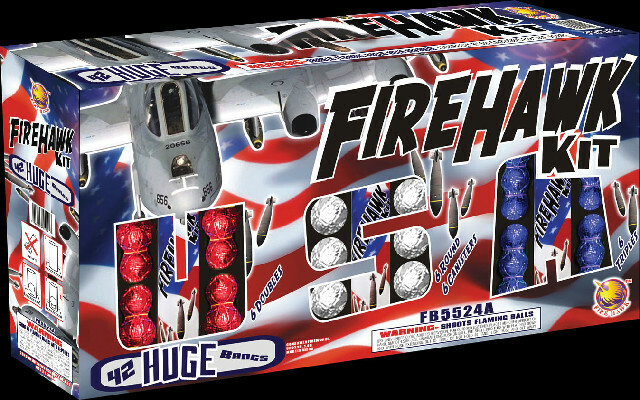 12 reloadable mine to aerial break shells. Absolutely loaded to the max and worth their weight in GOLD. 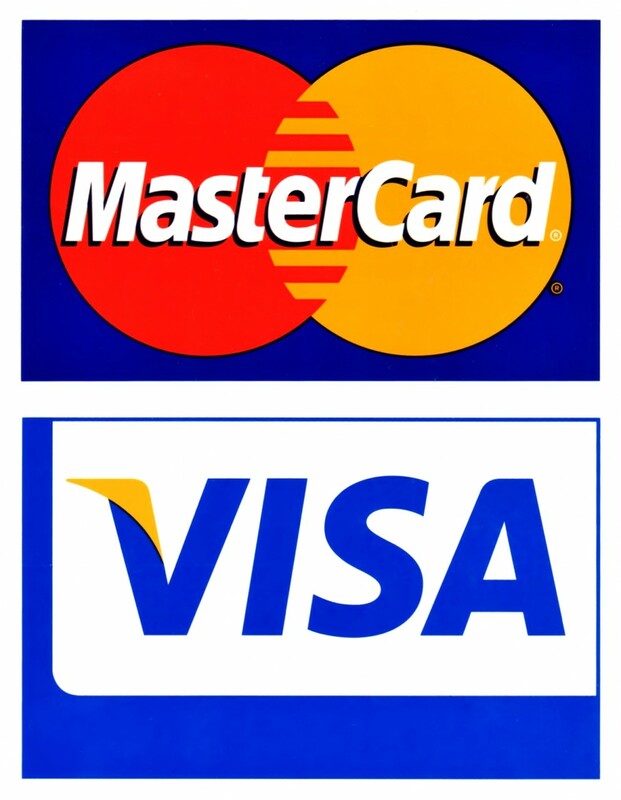 ITEM NUMBER: AM-0028 PRICE:$259.95 DESCRIPTION: TOTAL OF 60 LOADS! Singles, doubles, triples, and quads!!! Also has 6 tubes.red to green to silver peony with tail, crackling to silvery swallow to crackling with tail, green chrysanthemum to silver chrysanthemum to whistling bees with tail, small flowers to crackling to silver glittering with tail, crackling to crackling to twisting flower with tail, gold chrysanthemum to purple peony to whistlying mouse with tail. 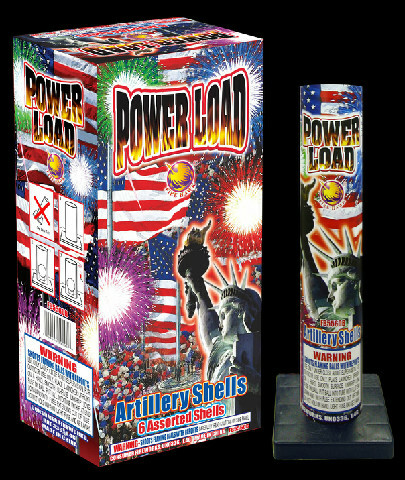 ITEM NUMBER: AM-0027 PRICE:$79.95 DESCRIPTION: 2 tubes and 12 triple break shells! 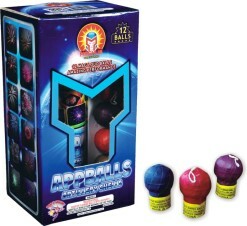 ITEM NUMBER: AM-0022 PRICE:$89.95 DESCRIPTION: 18 double break shells with two tubes! 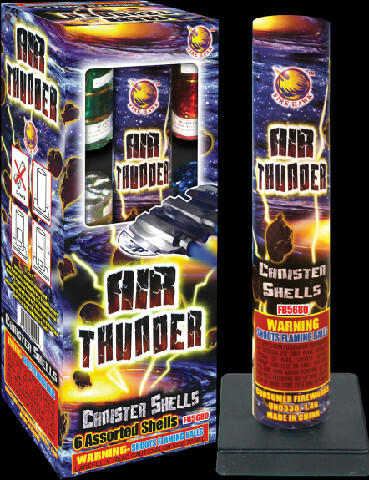 ITEM NUMBER: AM-0021 PRICE:$11.95 DESCRIPTION: 12 Cylinder mini shells! ITEM NUMBER: AM-0016 PRICE:$22.95 DESCRIPTION: 6 Happy face shells in different colors. Always a favorite! 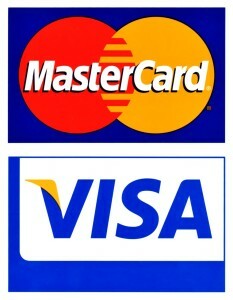 ITEM NUMBER: AM-0013 PRICE:$349.95 DESCRIPTION: WOW ! 120 shots, 192 breaks. 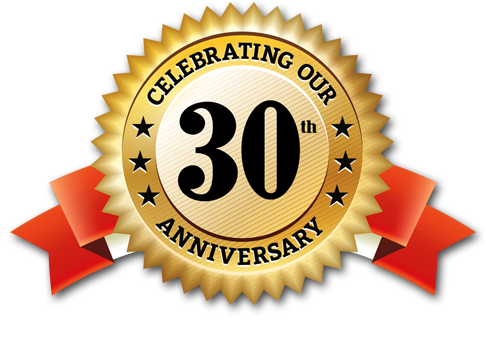 What more can you say about a mortar kit you can barely lift to get it into your car! 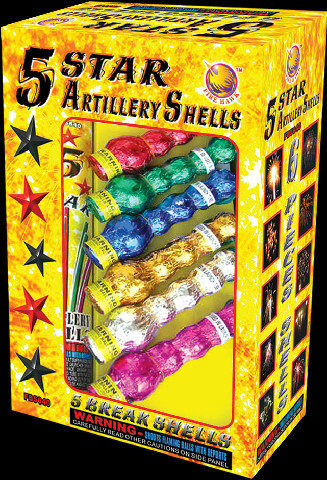 ITEM NUMBER: AM-0012 PRICE:$44.95 DESCRIPTION: 6 shells with 5 breaks each! 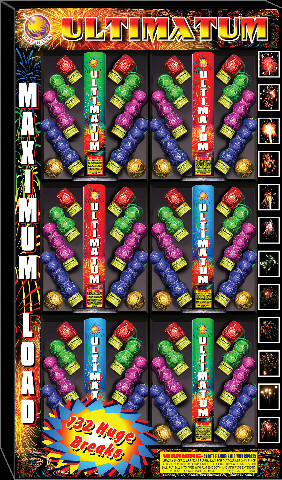 ITEM NUMBER: AM-0011 PRICE:$109.95 DESCRIPTION: 42 huge bangs 6 doubles, 6 triples, 6 canisters, 6 rounds. 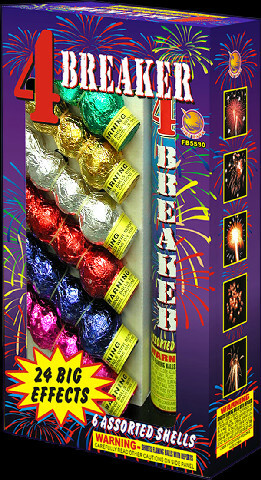 ITEM NUMBER: AM-0010 PRICE:$39.95 DESCRIPTION: 6 amazing colorful foil 3 break shells. A very popular mortar! 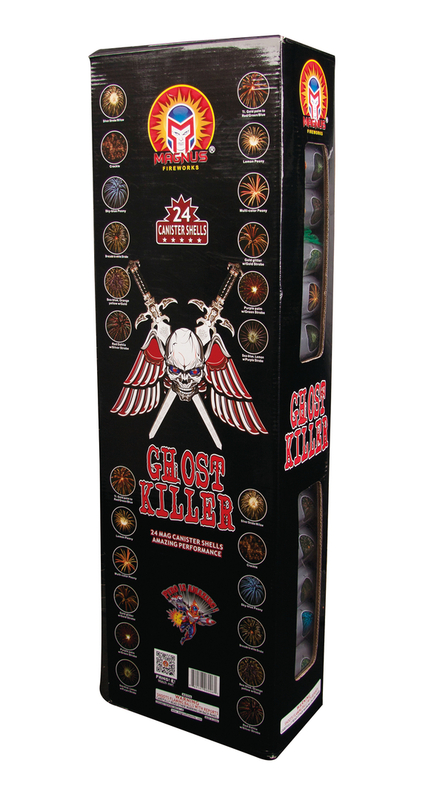 ITEM NUMBER: AM-0007 PRICE:$59.95 DESCRIPTION: 12 break shells It is named "Dare Dozen" for a reason! Have you ever seen artillery shells that are 15 inches tall with 12 breaks? This one you have to see!